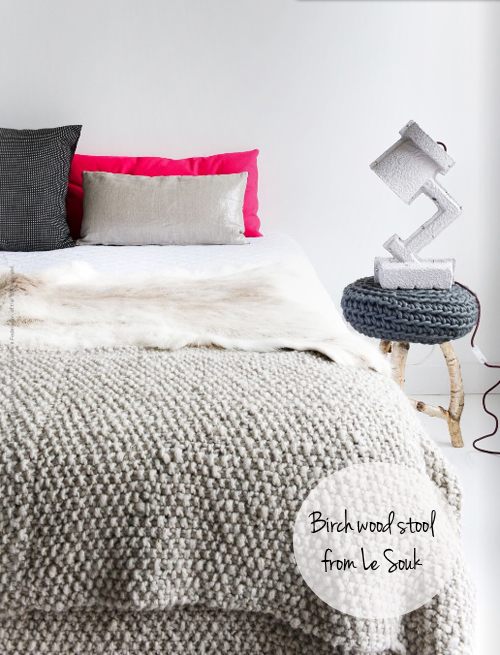 Today I’m loving … this beautiful bedroom featured in Est Magazine with hand made Birch Wood Stool from Le Souk. Wat een mooie sprei, lekker behaaglijk. I am loving that bedding! Wow, the textures the colors!! LeSouk is so amazing. Love that little table. m I’m all about that fluro pillow!